My first exposure to the Fate universe was when the Fate/Stay Night anime aired in 2006. Back then I also heard about the visual novel it was adapted from but I never delve into it any deeper. I don’t think I really appreciated the series until the Fate/Zero adaptation by UFOtable premiered years later, and the Unlimited Blade Works reboot that recently finished. I’d love to sit down and seriously play the visual novels one day but at least I’m looking forward to the Heaven’s Feel movie project that’s supposed to release sometime next year! 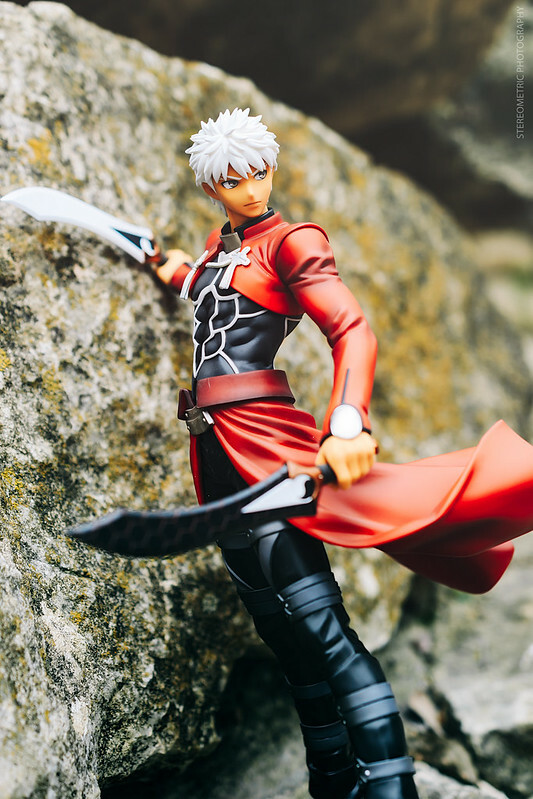 Around the time I started figure collecting, I definitely remember seeing a lot of Fate figures! (A lot of Saber and Rin) but I also wasn’t as appreciative (also no job or money at the time) so I didn’t really collect them. 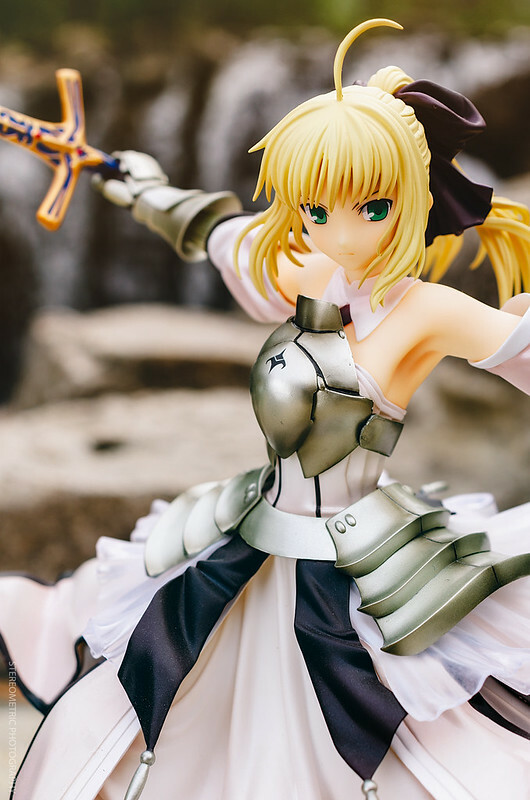 Saber Lily by Good Smile Company was definitely one of the figures that stood out the most! I remember how she was insanely popular that she went through multiple re-releases and even then people still had a hard time getting a hold of her! To this day I think she’s definitely one of Good Smile’s most iconic figures. One of my friends managed to find her online around the time her production stopped at a fairly decent price. After seeing her in person I can definitely see why she was so sought-after! She recently got another rerelease after however many years! I was quite shocked but at the same thing, I think the Fate series is enjoying some popularity again thanks to the new anime adaptions and the Fate Grand Order mobile game. 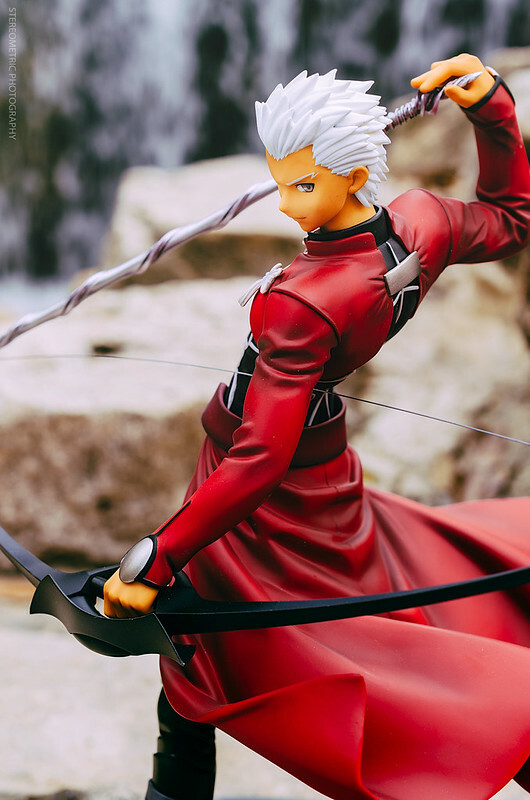 Next up is Archer by Altair! As some of you may know, Altair is a line by ALTER that is targeted towards a more female audience. Thus a lot of the characters they release are male characters from popular series heh heh. 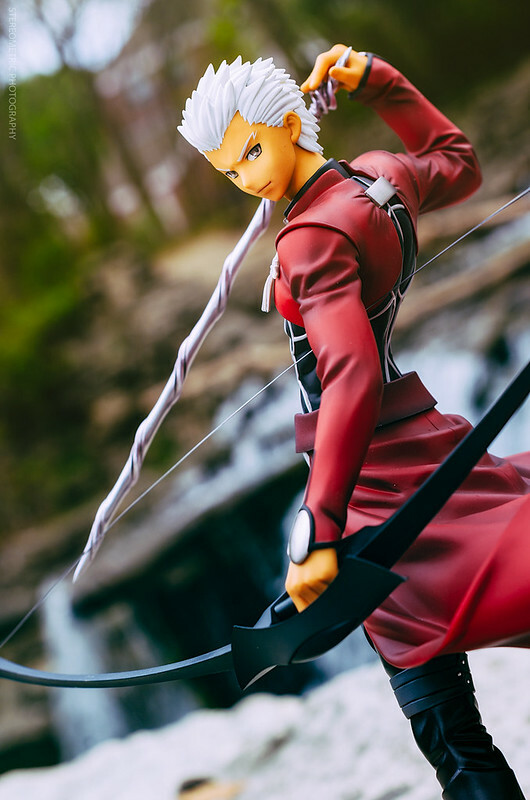 I’m really glad that Unlimited Blade Works encouraged ALTER to produce an Archer figure! His quality is excellent, as expected from ALTER! 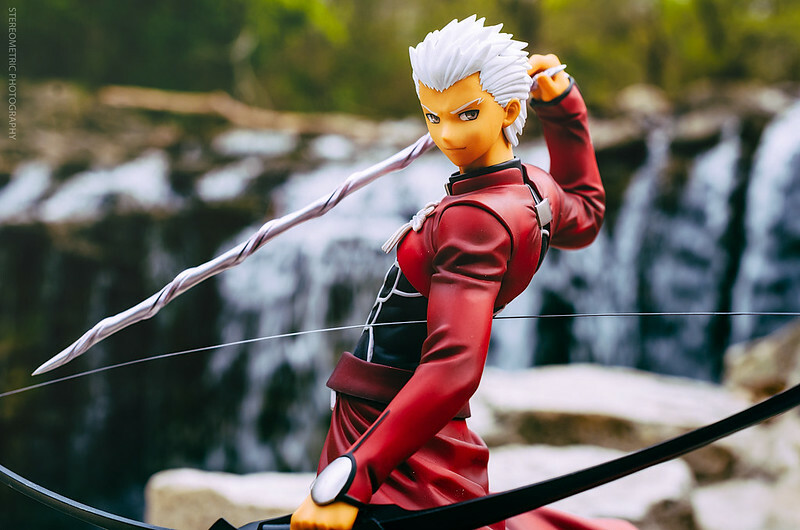 My friend brought her Archer to the meetup and it was awesome to see him in person! Looking at the prototype pictures just isn’t the same! I definitely had fun taking photos of him with his dramatic pose! What was also neat about this figure is that it came with a lot of alternate parts! You could choose between either his bow and arrow of his iconic blades! 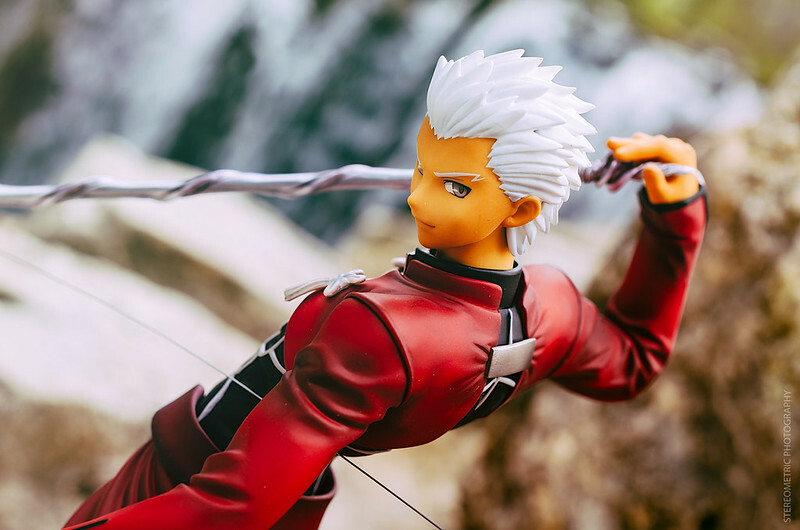 You would also swap out his head between his normal look and the “EMIYA” form that appears at the end of the Unlimited Blade Works route. This figure is actually a little special for me because she’s my first (and only at the moment) scaled Fate figure! She’s also produced by a company called Wing and from what I can tell her quality is great! Finally a Beach Queens of Saber Alter! You will all have a better understanding who Saber Alter is after the Heaven’s Feel Route airs. I actually don’t collect Beach Queens figures (or a lot of swimsuit figures in general) but I do think they are a lot of fun! They’re about 1/10 scaled so they’re quite smaller compared to your average 1/8 scaled figure. But if they’re definitely great to carry around for some fun outdoors/beach photo shoots. And that concludes the Fate figure showcase! The new post will be Idolm@ster themed! I’ve been promising one for months now and it’s finally happening. Thanks again for reading! I’m not really into the Fate series like my fiance. I’ve seen the first anime adaptation & was pretty much confused even after finishing it. :p I started watching Unlimited Bladeworks when it first released but I should finish it! Maybe I’ll appreciate the Fate nendoroid’s we have. Beautiful photos, as usual, though!! 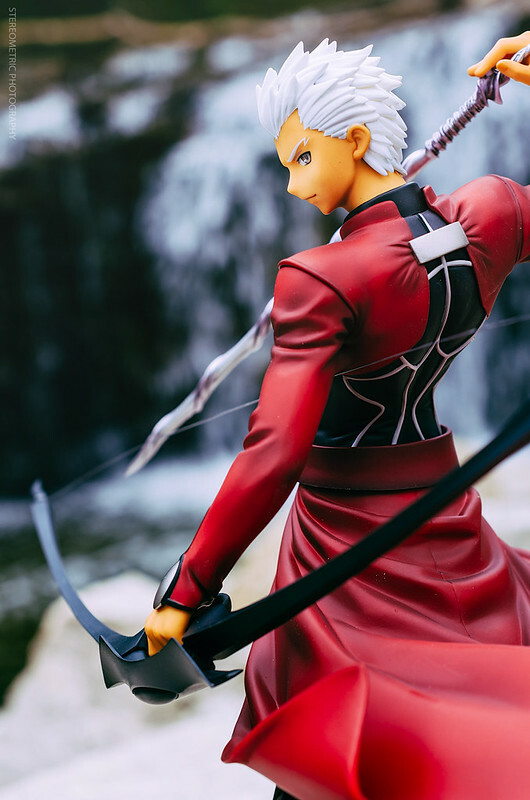 That fifth Archer shot is fabulous. 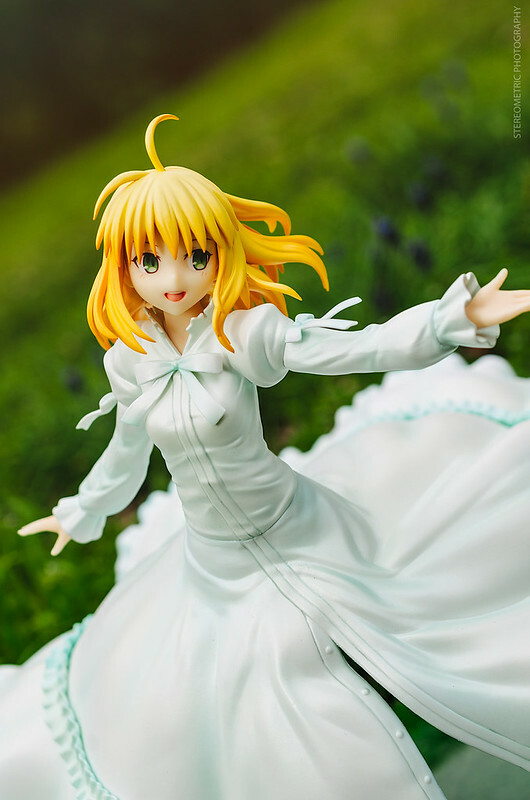 （人´∀`*）I also love the true ending Saber since she looks so happy & casual compared to all her usual figures. The Beach Queens figure is cute, too! I feel like they’re almost alive when they’re in a sitting pose. Thinking about it, I find it easier to manage time now working than when I was in school. It comes mostly from having a set schedule unlike my classes plus the time needed for homework and what not which varied greatly. I like the idea of themed photo shoots and having meet ups around it is pretty neat. I never thought of it. 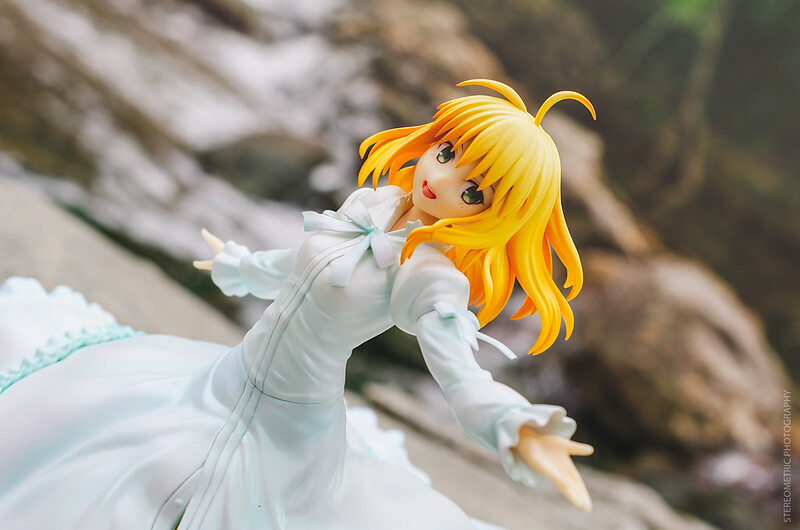 I’ve only really focused on one figure at a time for the most part aside from photo shoots like with yukata 765 Pro girls from Freeing. I also experienced Fate along the same time you did, back then after watching the first anime adaption my overall reaction was along the lines of why do people like this again? 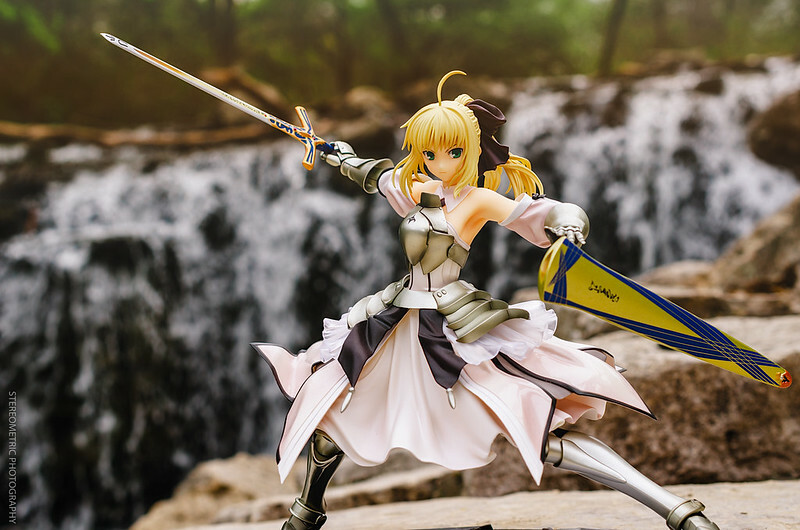 Why is every other figure a Saber? Not what I would call positive. The more recent UBW changed a lot of that perception, except for the Saber bit, I still don’t quite get her popularity though. Although after playing through Fate/Extra I became a big fan of Nero Saber. 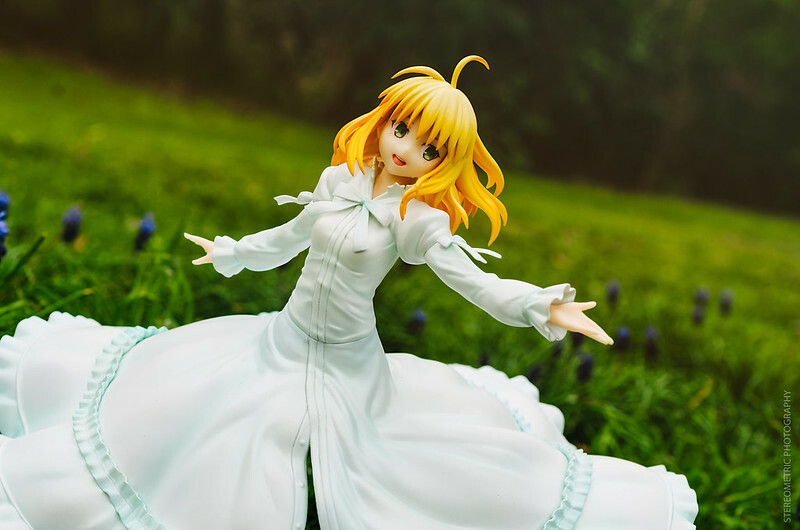 Pretty photos, my favorites are probably the Beach Queen Alter Saber, it’s just such a cute figure.